Candy was a journalist writing about dictators in the Third World before she took up a full-time position battling dictators of the nappy-clad variety. She inadvertently became a web designer while avoiding doing the dishes and now takes procrastination to new levels by blogging, drawing and making YouTube videos. 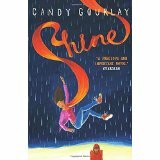 Shine was nominated for the Guardian Children’s Fiction Prize 2014 and won the Crystal Kite Prize for Europe 2014, while Tall Story also won the Crystal Kite in 2011 and was nominated for the Carnegie Medal and shortlisted for 13 awards, including the Blue Peter Prize, the Waterstones Children’s Book Prize and the Branford Boase. 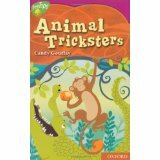 Find Candy on Twitter @CandyGourlay and at http://candygourlay.com. Shine: Rosa suffers from a rare condition that renders her mute. She lives on the strange island of Mirasol where the rain never seems to stop. In the gloom of the island, its superstitious population are haunted by all sorts of fears . . . they shun people who suffer from Rosa’s condition, believing them to be monsters. So Rosa must live hidden away in an isolated house with its back to the rest of the world, with only the internet for a social life. But Rosa has no desire to leave Mirasol. This is where her mother died and every night she lights a candle on the windowsill. The islanders believe this is the way to summon ghosts, and Rosa wants her mother back. One day she is befriended by a boy online who calls himself Ansel95 – and she quickly realizes that this is one friendship that can take place in the real world. Can she really trust him? What does he want from her? And then Mother turns up at the front door. Tall Story: Andi is short. And she has lots of wishes. 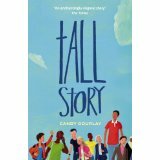 She wishes she could play on the school basketball team, she wishes for her own bedroom, but most of all she wishes that her long lost half brother, Bernardo, could come and live in London, where he belongs. Then Andi’s biggest wish comes true and she’s minutes away from becoming someone’s little sister. As she waits anxiously for Bernardo to arrive from the Philippines, she hopes he’ll turn out to be tall and just as mad as she is about basketball. When he finally arrives, he’s tall all right. But he’s not just tall … he’s a GIANT.